Solus - how far will it go? Solus is not a new operating system for this blog. There were a couple of reviews of Solus OS 1.2 back in 2012, one of them I wrote myself while another was a guest post. However, there were a lot of changes since then. 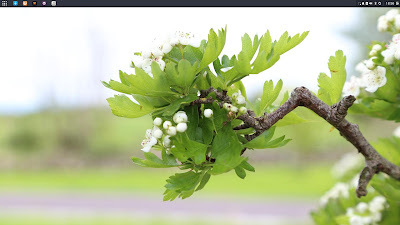 Solus OS changed the name to Solus, the approach to the system build has changed, and there have been few new releases already. The newest version now is Solus 2017.04.18.0. As you can guess from the name, it was released on the 18th of April 2017. Solus is available with many desktop environments, but on the top of the list is Budgie, the new player on the scene. The team behind Budgie is the same team that stands behind Solus. This DE gains more and more popularity, and there is even an official Ubuntu Budgie flavour now. Budgie is the flagship flavour for Solus, of course. I decided to try that desktop environment for the first time. I downloaded the ISO image of this operating system, which is 1.2 GB in size. 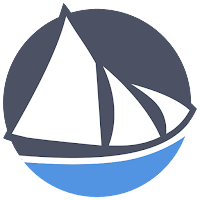 Only the 64-bit version is available for this release of Solus. After downloading I "burnt" it onto my USB stick. The USB stick is in the port of my Dell Inspirion 17 laptop. Reboot. Choose to boot from USB. Fasten your seatbelts. Let's go! Once the boot process starts, there is a countdown of 5 seconds that allows you go stop the boot process and go to the menu. That's not a particularly useful feature, because the menu contains only 2 items: boot Solus or boot from HDD. It can only be useful if you want to change the default parameters of the operating system load. Once I resumed the boot process, it took a relatively quick time to get to the default desktop. There were no questions along the process. Solus 2017.04.18 Budgie boots into a desktop with a spring-themed image on it. There are a few dozens alternative wallpapers in the list. You need to right-click on any empty space on the desktop and select the "Change background" option. Here you find some specifics of Budgie desktop. First, linked windows, like "Change background" and a list of background images move together. You cannot move the top window to see what was on the previous one. Second, not every window allows resizing. It is quite funny to see a small window that you can scroll a lot, but cannot make bigger on a large screen. The panel is at the top of the screen. The right part of it is taken by the usual notification area, where you can find the usual suspects: clocks, bluetooth, network and volume indicators, notifications icon and a switch off button. There is also a special button that calls up an additional panel that floats from the right. By default, there are calendar and volume controls along with a separate section for notifications. There is also a quick access button to Budgie settings. 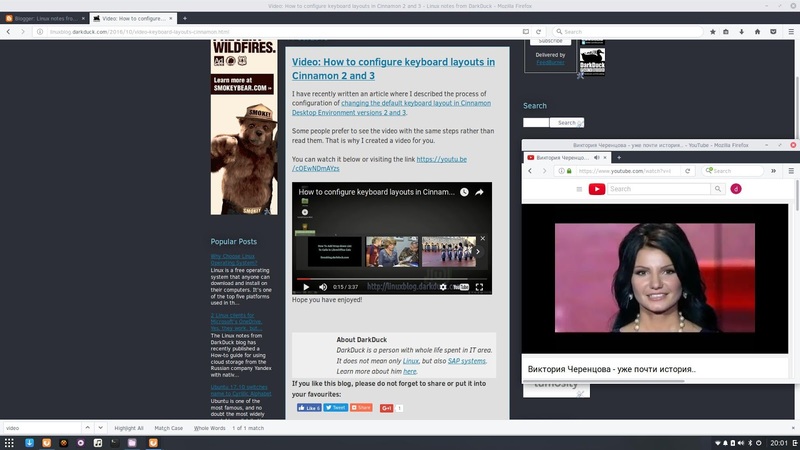 The left part of the panel contains a menu button that resembles the menu button in some Android-powered mobile devices and GNOME-based Linux distributions, and there are also quick shortcuts to applications: Install, Firefox, HexChat, GNOME mPlayer and Rhythmbox. The selection of applications here is very strange to say the least. Who does need two multimedia players there? Where is a file manager? Is HexChat so often used by many to deserve being on the default quick access panel? You can move panel from top to bottom via the Budgie Settings panel that I mentioned just above. There is also an option to switch on desktop icons that are missing in the default setup. The freshly booted Solus operating system took around 730Mb of memory, which is quite a lot. The web site of Solus doesn't mention any other operating system as a basis for their own. This is an operating system based on its own roots. The person behind Solus is the same Ikey Doherty who was the leader of the Solus OS project. This approach is quite unusual and gives enough reasons to think about the future of this operating system as unpredictable. Just as an example, think of Pardus, now defunct... The original Solus OS also is no longer supported. The Linux kernel in Solus 2017.04.18.0 has version 4.9.22-17. It is not brand new, but a quite recent kernel. Solus gave me no headache with recognising and configuring of the Intel wireless card of my laptop. That was a usual routine - select the home network, type in the password and wait for few seconds until the connection is established. The file manager in Solus is called simply: Files. It has an option to browse the network. I used that function to connect to the network drive I have. Files could be opened and played well from that remote drive. I could even save files from LibreOffice to there, which is not always possible. However, there is a usual problem with SMB-partitions mounted through the file manager: they are inaccessible from the browser attachment windows, for example GMail. The default keyboard layout in Solus is English US. If you need to change this, then go to the Region & Language part of the System Settings menu and add Input Sources according to your taste. To configure the quick key sequence for switching the layouts, you need to go to the Keyboard section of System Settings and configure the key combination there. This part is somewhere at the bottom of the very long list, very badly organised. Unfortunately, my favourite key combination Ctrl-Shift is unavailable in Solus Budgie. As I mentioned above, Solus was able to open files from remote partition, and that included MP3 files. They started playing without any additional installation of codecs, straight away in the GNOME mPlayer. Videos on other sites like Vimeo and 1tv.ru also played well. The choice of applications in the Solus operating system is not large, and some of the decisions taken by the developers are not so clear. Firefox 52.0.2 is the default and the only browser. Other Internet tools include Transmission torrent client, HexChat and Thunderbird email client. There is no Internet messenger or remote access tool in the default distribution. LibreOffice 5.3.2.2 is in the Office section of the menu. It includes only basic components, there is no Math or Base applications. The Graphics section of the menu includes only LibreOffice Draw. However, there is Screenshot, Document and Image viewers in the Utilities section of the menu. GnomeMPV and Rhythmbox are the only components in the Sound & Video part of the menu. I'm not sure why you would need two multimedia players at the same time. There is nothing more in that menu section, even no disk burning utility. The Sundry menu section includes IBus configuration along with Print settings. There are 4 (four!) sections with small-size utilities in the Solus menu: System Settings, System Tools, Utilities and Accessories. Of course, they include a plethora of different applications: disk partitioning, archive manager, file manager, system monitor, tweak tool and so on and so on. Usual story. If you want to add or remove applications, you can use the Software Centre from the System Settings section. It does not allow you to configure repositories, so you need to use only one default repository. What is available there? As you can see, there is a hit and miss situation. Just to test, I installed Remmina utility. 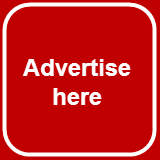 The Software centre determined 4 additional dependencies and suggested their installation too. While downloading, the counter of the components in the status bar showed "Downloading 8 out of 5". That isn’t right, me thinks... Anyway, installation itself went smoothly and I was able to use the application very soon. The Live run of Solus was stable, fast and smooth. I especially liked the crispness of the fonts, windows and of all the elements. At the same time, if you want to use Solus Budgie as a production OS, I'd recommend you to think twice. The main show-stopper for me would be the unknown format for supported packages. It locks down the number of available applications to whatever is available in official repositories, and there are already some gaps. Of course, there are some doubtful decisions on default set of applications and default desktop items, but that's easy to fix. I hope that Solus will develop further and this is not my last visit to that part of the Linux world. I hope the team will not run out of patience and resources. Have you tried Solus yourself? What are your thoughts about it? From what I can determine you didn't actually install Solus, which meant your system was out of date already. The counting issue in the Software Center was fixed postrelease in updates, and you'll see items like Skype actually are available. You've said Firefox is the only available browser, but just looking at the "Web Browser" section there is Midori, Opera, Vivaldi, Epiphany, Qupzilla, etc, not to mention Google Chrome available via Third Party. As for configurables like the keyboard layout, locale, etc, this is all handled in the installer, given the transient nature of the live ISO. You've claimed GNOME Mplayer is in the menu but its actually GNOME MPV, which is a *video* player. Rhythmbox is a playlist oriented audio-only player, so it actually makes perfect sense to have both. Simple clicking on either of them would've demonstrated as such. Ikey, very pleased with your comment. 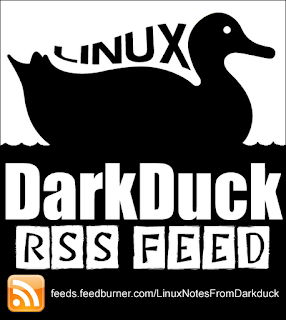 What's about an interview for Linux notes from DarkDuck? Definitely - what better way to ask questions? :) Clearly we have ground to cover on discovery and best practices with regards to Solus. Give me an email or email darkduck at darkduck.com? I love Solus, but the Boot Manager does not play well other boot managers. I was triple booting Win 10, Mint & Solus. I got a new PC but could not install the boot manager and it would not even show up in the UEFI. I love this distro but have jumped to UbuntuBudgie until this problem is solved. Mint's Grub does pick up Solus, but upon rebooting Solus is not a choice. The community is great, but this is a major issue keeping me away from a great distro. Have you discussed that with Ikey and the development team? Yes we had an extensive thread in the forum. It appears changes are coming to fix the issue. Solus uses Goofiboot. The boot manager is called Linux Boot Manager. Unfortunately, it does not play well with other boot managers. So I will wait with the hopes the changes discussed are implemented. 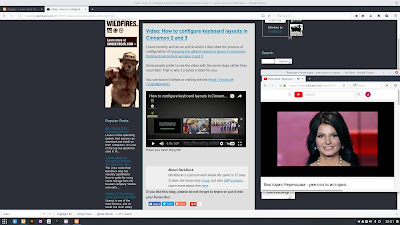 This is another prime example of why reviews of a distro shouldn't be done in "live mode"
There is nothing wrong with checking out a distro live for yourself before you install it, but, making a review based on "live mode" will never give you or your audience true results of how the distro really runs (outside of ram and on real steel). I usually don't read blogs that do reviews just on live systems, it's not fair to the dev's nor the distro. If you did a review of both "live" and "installed" that would be a whole new ballgame for you and your audience and would probably give your site more "hits". 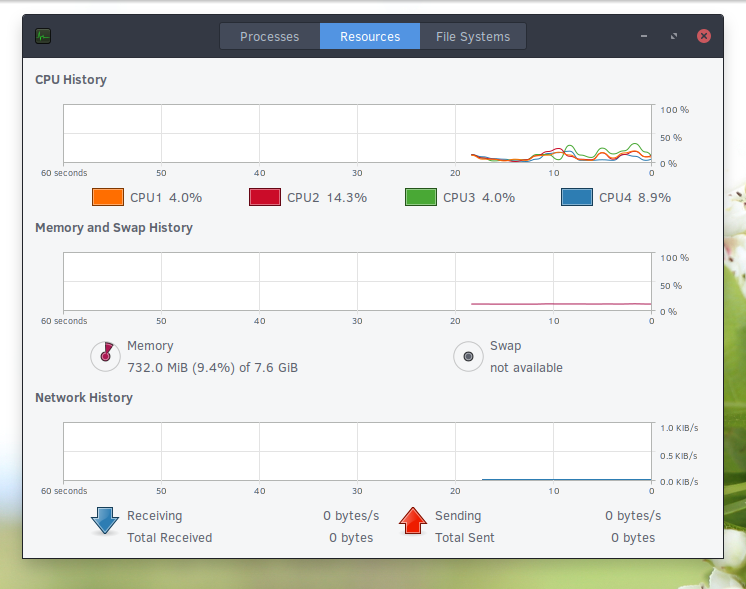 I am a KDE guy, but, I really like and enjoy what Ikey Doherty has done with budgie-desktop. You're free to have your own position, as well as I am. I installed it for my elderly MIL as it had just the applications I needed, or so I thought...it was very pretty, very fast, and had good selection of packages in the repository. BUT she needed to access a brother multifunction printer/scanner, and try as I might, I could not get the brother drivers, which are provided only in i386 rpms and debs by Brother, to sit right for SOLUS in the time that I had to do this in. So wiped it out, and installed Mint 18.1 KDE. Yes, that's exactly the problem of locked-down distribution. It needs to get more "meat" (drivers, software, specific user guides etc) before getting a chance to become widely popular. I had a similar issue. I have a Brother HL-L2320D. Solus has the RPM package manager in the repos for install. I installed the package manager, downloaded the gzip from Brother, and ran the bash command. It installed perfectly. Follow the directions on the Brother site as it is different for USB and Network setup. When I read reviews of different Linux distributions I am looking for something that would set the distro apart from the others and intriguing enough to get me to try it. Solus seems to run well from a USB stick, which is a plus. I am uncertain about the "reinventing the wheel" approach which pretty much limits a person's application selection to those provided by the distribution itself. Is there anything that really stands out with Solus to entice a person comfortable with Icewm to try it out? Hi guys. I'm using Solus for my work day by day, as development environment, it's have many useful tools inside, but for me it will be great if Solus can be installed in UEFI (not work yet), resolved dependency problems like if I will install gitg then must be installed and git also. Not existing some configuration files like /etc/crypttab, but this is not a problem at all, in general it's best distro for me. Thanks! Thanks! Happy it works for you! I've been running Solus on my laptop for about 2 months now and it's been pretty good to me. I was initially worried about eopkg, but I haven't had problems getting packages. Any specific hardware you tried to find drivers for? What's about a question about Brother MFD from onyxnz above? I have a Brother 2270DW running with no issues. I did use an older model number when installing needed components, but that was the only "work-around" needed. I have been using Solus as my daily driver for over a year, and the only issues I have run across were either caused by me, or were known, with work in progress, and since resolved. I use Solus Budgie and I like it. It is a thoroughly thought through, mindful and fine system with a tremendous love for minute details. Thumbs up for Solus Budgie! I actively recommend Solus Budgie. I have installed Solus on my USB key and it uses about 530MB of ram. This is quite light and about the same as XFCE or Mate. If you want a package that is not in Solus, you can write to the forum and ask for it. Or better, write yourself a new pkg. There are a lot of documentations on how to compile yourself and how to create packages. This distro is very light and fast, but it needs to mature. As you said, we'll see in 5 years. Maturity is the issue that worries me most, you're right. Only time can tell, all the rest are speculations. Hello. I use Solus as my everyday driver about six months. It is perfect, lean and trouble free system. And with Budgie DE it is masterpiece. I don't understand people, who wrote review based on live systems, or in VirtualBox...i think, the good decision is make a GOOD review of distro, installed on real hardware...sorry, it is just my opinion, but your review is terrible. Welcome to write your own... I have plenty of critics, but very few writers here.. I am late here... DarkDuck, you are very opinionated for a person who only played with Solus from a live disk. Things about Solus are changing and changing for the better daily. These type of articles are meant to help people decide or learn about distros. Your article is of type: I'll tell you what is good and not good with this distro. Trust me, not many people care what you think and especially are not concerned what you think about the future of Solus Linux. Thank you for what you wrote but no thank you for your conservative remarks. Just another critic who has never written anything himself. You're more than welcome NOT to read and comment articles on this site in the future. First time at DarkDuck. Just finished reading this thread because of an interest in Solus. After this one response I will take your advice and NOT read or comment any further. I absolutely understand and agree with you. Cheers! Same here. I'll remember darkduck as a NO GO for any review. I'm so sick and tired of this kind of people. Good it's working for you! Depois de anos utilizando derivados do debian cheguei ao archlinux e fiquei por uns 2 anos. Ai conheci o Solus semana passada e estou curtindo bastante. Achei mais fluido e mais veloz que o arch com xfce. As aplicações me atendem muito bem. Sem contar no menu Raven que pra mim é muito bonito e util. Estou me adaptando com eopkg e estou gostando muito. Great it is working for you. And another year of Ikei's project is another achievement too.